Only nine of Star’s puppies survived. Eventually, all the dogs were adopted by families in the St. Louis area, including Star, who recovered from advanced kidney failure. Star’s owner, Shannon Flegle, reached out to the family of one of star’s puppies, Elsa. They immediately agreed to help Elsa’s mom, and she donated one of her kidneys. Both dogs are doing well. 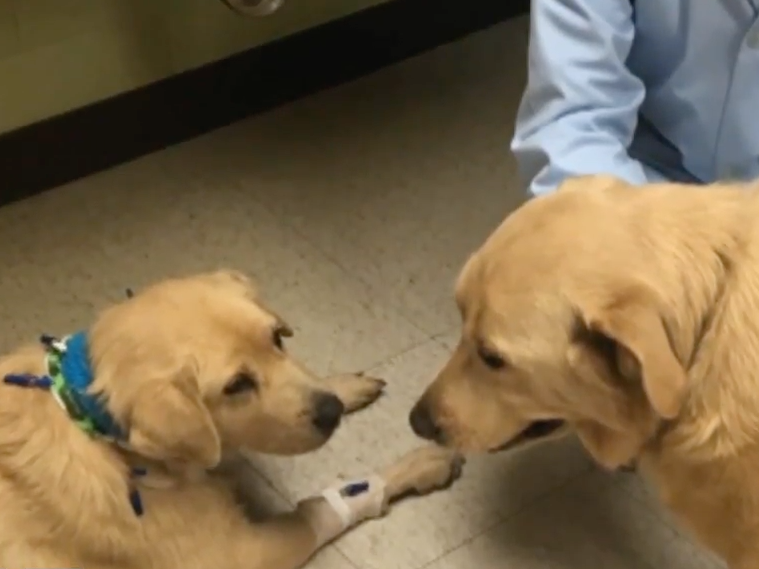 In today’s heartwarming dog news, a doggy mom received a lifesaving kidney transplant from one of her puppies, after both were rescued from an abandoned box on the side of the road. A few years ago, Star and her 13 puppies were rescued from starvation. 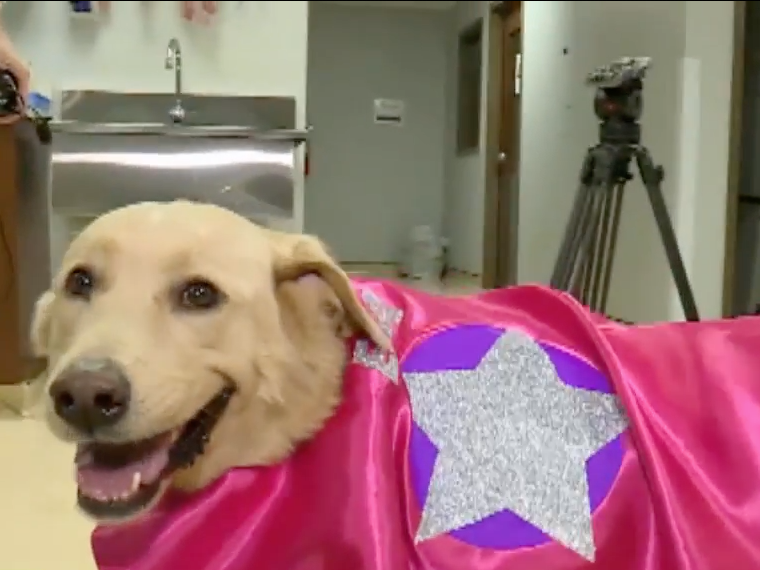 Only nine of her puppies survived, and Star herself was experiencing advanced kidney failure. Miraculously, she recovered and was adopted by Shannon Flegle and her family. But over the summer, Star again experienced symptoms of kidney failure, including vomiting and listlessness, and she refused to eat. Desperate, Flegle reached out to the Murrays, who had adopted one of Star’s puppies years ago, and named her Elsa. Jenny Murray immediately agreed, but also asked her kids if they would be okay with Elsa undergoing the surgery. „This is Elsa’s chance to save her mom, and they’re like, ‘Oh so she’s a hero! '“ Murray told Fox 2 of her children’s reaction.